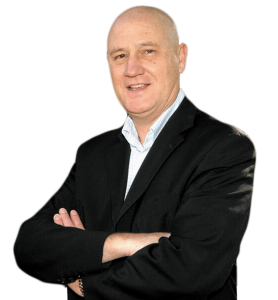 Jeff Frankling first became involved in the franchise sector in 1980, when he was employed by franchise consultant Ray Elliott Associates. The interest in franchising in the UK had really started to flourish, following the success of well-known brands such as ServiceMaster, Dyno-Rod, Holiday Inns UK, Kentucky Fried Chicken, Wimpy International, Ziebart GB, Prontaprint and Budget Rent a Car, to name but a few. Jeff went on to work for a number of franchise chains in the kitchen, home improvement and automotive sectors but, in 1997, decided to start his own marketing business, with the intention of developing it into a franchise opportunity. He formed a partnership called Zone Marketing with his wife Lynn, which targeted the local promotions market with a product called VAL-U-PAK. This took the form of colourful envelopes containing discount vouchers from local shops and businesses and was distributed to homes in the immediate locality. The success of this system enabled the recruitment of a small number of franchise pilots. However, many clients, who recognised Jeff’s knowledge of door-to-door distribution, persuaded him to form a leaflet distribution business called DOR-2-DOR. He joined the Direct Marketing Association, was elected to the Door-Drop Council and became chairman of the marketing committee for four years, before moving on to concentrate his energies in developing the distribution business. This proved to be a very shrewd move and DOR-2-DOR took off rapidly. This proved to be a very shrewd move and DOR-2-DOR took off rapidly. In order to concentrate on the distribution side, Jeff sold his VAL-U-PAK brand to Cox Industries in the USA, who were developing a similar product called VAL-PAK from their Florida base. The funds generated from this asset sale enabled Zone Marketing to commence development of the franchise model for DOR-2-DOR. Initial pilot operations in the mid to late ’90s proved very successful and Jeff set up his first, fully-fledged franchisee in Bristol in 2001, which is still operating today. Now with nearly seventy DOR-2-DOR franchisees in 2018, Jeff, via his company Zone Marketing UK Ltd, is aiming to reach one hundred franchisees within the next two years and, based on the interest and strength of the local business marketing sector, this seems eminently achievable. When Jeff was invited to join the newly established AFA (Approved Franchise Association) in 2015, it seemed a natural fit, and the success of the AFA has since replicated that of DOR-2-DOR.